The US ban on the use of larger electronic devices on board US-bound flights may come as a shock to many but it seems Emirates Airline is handling it with a slick new advert. Within hours of US ban on allowing passengers from Middle Eastern and North African countries, the company has attempted to turn the measure into one of its selling points. Emirates came up with light-hearted fun response to the ban and have directed its passengers for availing the entertainment opportunities provided by the airline instead of whining for the absence of laptops or tablets. The advertisement is titled as “Let us entertain you” featuring actress Jennifer Aniston. The commercial with Aniston is not new; it was released in October 2016. This newly repackaged clip is a reminder that the Emirates’ ICE in-flight entertainment system has to offer a lot to the passengers. 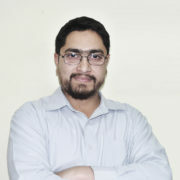 This entertainment system includes 2,500 movie channels, music, and TV to fill the void left by the so-called ban on electronic devices larger than mobile phones. 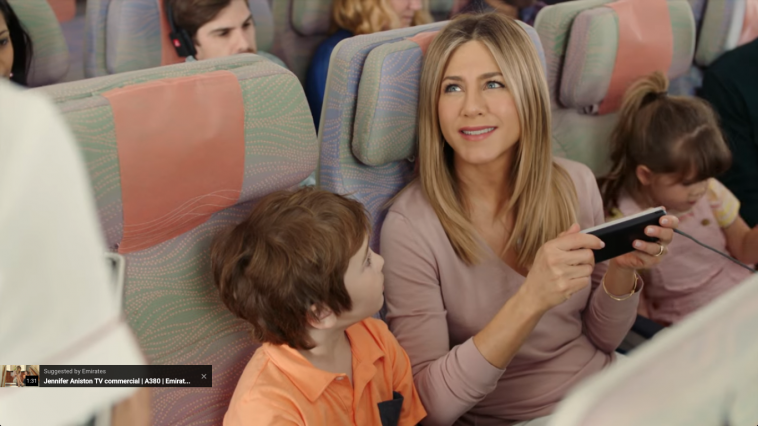 The basic aim of Emirates behind the repacked clip featuring Jennifer Aniston is that the Airline wants to show its world-class service and luxurious accommodation that are found across all of its cabins. Among nine of the other airlines affected by the ban, Emirates is also the one to be limiting its passengers with electronic devices larger than cell phones. The company wants to comply with the new rules but also don’t want to lose upon its passengers’ interest for boarding the flights.